﻿﻿﻿﻿We naturalists admire these warm nights as much as we love the daylight. Not for any other reason, but to walk miles in search of these love-ridden animals of the dark – the amphibians, as well as their distant relatives – reptiles, to study, photograph, or just admire them. Let’s focus on how to photograph them in the middle of a day or dark rainy nights using a point-and-shoot camera. I have been focusing on how to photograph using point-and-shoot cameras for the past four months. If you’ve been following them, you might begin to notice some similarities in types of cameras as well as techniques used to photograph various animals. The same apply to photographing herptiles, especially in the night, too. 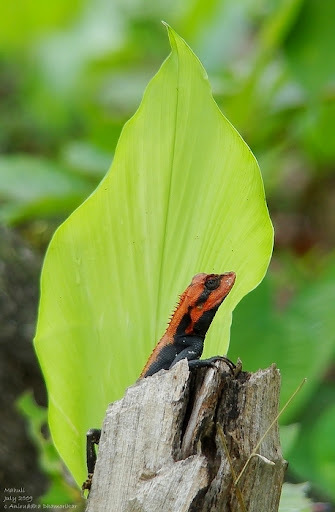 In order to be able to photograph herptiles, any ordinary cameras with a macro range of at least 10 cm, with at least 5 or more megapixels and optical zoom of 5x or more, can be used to capture good details. Point-and-shoots are good, if not excellent, while photographing objects at a close range during nights. They are light weight, therefore easy to carry. You don’t have to change lenses as in dSLRs, and they are cheap. Unfortunately, they are also fragile, hence protecting them against rain and mud is important. I usually hang the camera around my neck and wrap a plastic bag over it to avoid any splashing during treks in rainy season. 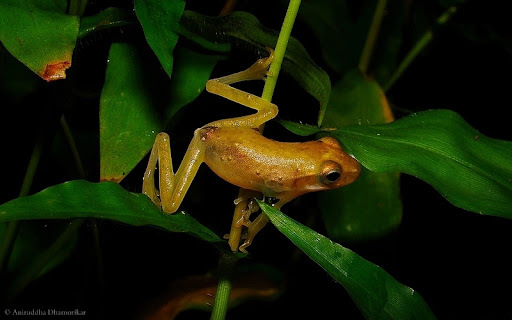 They possess a strong flash, hence a diffuser is recommended, and they possess auto-focus which is not ideal for the skittish frogs and lizards. ﻿P Amphibians and reptiles are shy animals – any slight movement and they will dash for cover and will not reveal themselves again so easily. When approaching one, photograph from as far as possible at first, and then approach as quietly as possible. ﻿P A flash diffuser works exceptionally well for photographing such subjects. I’ll talk about it in a few months, but in brief, anything that is uniformly opaque – such as a butter paper or a white piece of cloth works well to uniformly light the subject. 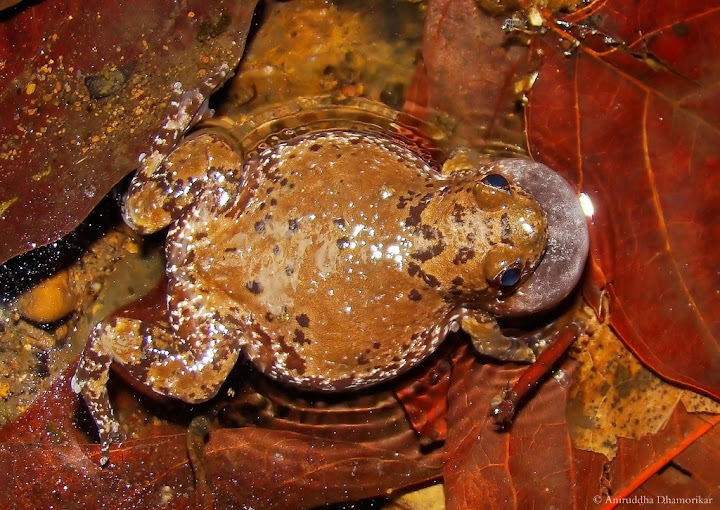 It also helps diffuse the flash on subjects – say amphibians or reptiles that are in water. A trick to avoid a strongly reflected flash, as in this picture of Ramanella sp. is to tilt the camera a bit so that the flash’s reflection in the water doesn’t enter the frame. ﻿It was photographed around 11 AM last summer, when the sky was clear and sunlight too bright that reflected off the Painted Turtle’s carapace, casting a strong contrast in the shadow region. It is helpful to photograph such subjects in early or late afternoon and with enough cloud cover to diffuse the midday sunlight. ﻿These are a few ways in which you can photograph amphibians and reptiles. Many new species are still being discovered, and, unfortunately, many are also fast vanishing from the face of our planet. It is our responsibility as naturalists to spread awareness about these delicate, ancient creatures to our friends and relatives. Photography is the key, probably one of the most important keys, when it comes to informing the general public about the fascinating world of herptiles, about their unique way of life, and their plight in today’s changing times. Without visuals, it is hard to relate the natural world to the one’s disconnected with it, hence I recommend everyone to go out and observe, and if possible, shoot! Have a great monsoon if you’re in India and a great summer if you’re in North America! Thank you for the wonderful tips on photography. I am not good at it but I enjoy the memories the pictures provide. The pictures you shared today are just stunning. I have enjoyed my visit and reading the tips you give. I agree with Emma. Stunning photography. 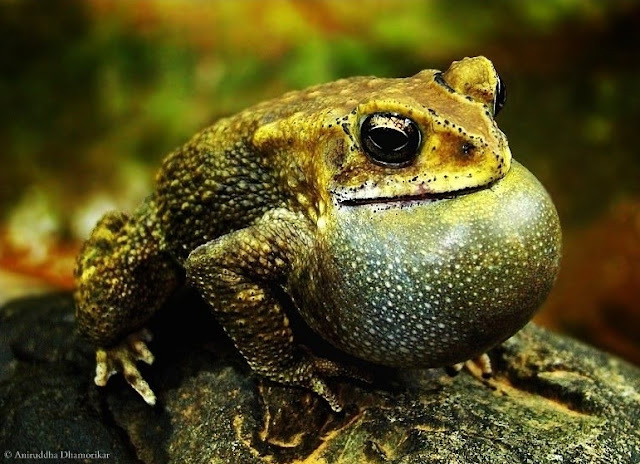 Stunning shot of Indian toad. Another great expedition Aniruddha! Your images are very stunning and informative.